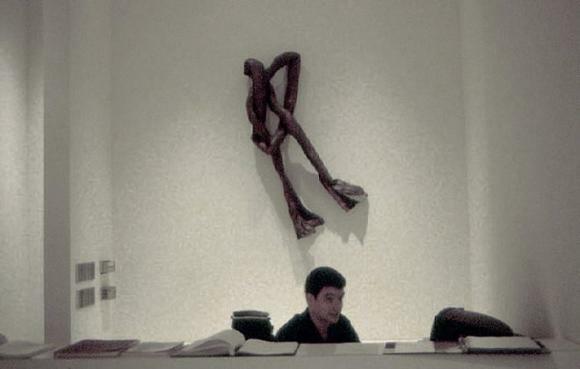 Cheim & Read will open on Thursday, June 5th, 1997 with a group exhibition of Lynda Benglis, Adam Fuss, David Salle, and Serge Spitzer. Works to be included in the exhibition are Knots, wall sculptures from the early 1970s by Lynda BENGLIS (born Lake Charles, Louisiana, 1941); recent "liver" photograms from British born artist, Adam FUSS (born 1961 London, England); early works circa 1980 of disembodied figures floating on stained fields of color by David SALLE (born 1952 Norman, Oklahoma); and thumb print drawings from 1977 by sculptor, Serge SPITZER (born 1951 Bucharest, Romania). The exhibition will remain on view through July 31st. Gallery hours for the summer will be Monday through Friday, 10am – 6pm.